At Greenwich Education Group, we pride ourselves on matching families with the colleges and universities that fit their unique needs and goals. 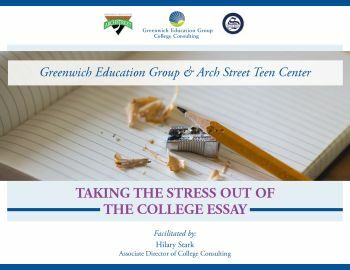 Greenwich Education Group’s College Consulting has a strong record of developing personalized admissions strategies that reduce confusion and stress and lead to a successful mastery of the college admissions process. Submitted an Early Application: Now What?